Berlin is one of Europe's most exciting and best-value party cities, a byword for alternative culture and nightlife without taboo. 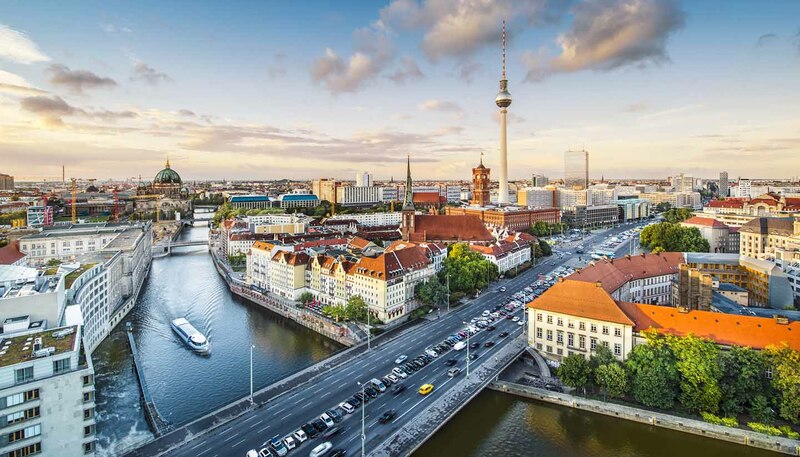 West Berlin is the favoured hangout of a wealthier and older crowd, while East Berlin and Kreuzberg are where you'll find the real action. Tickets to cultural events are available from Visit Berlin (tel: +49 030 2500 2333; www.visitberlin.de) or directly through most venues. You can find listings in Zitty (www.zitty.de), Tip (www.tip-berlin.de) and Prinz (www.prinz.de) magazines. There are also club listings in the free magazine 030 (www.berlin030.de) and in the main English-language paper ExBerliner (www.exberliner.com). This fantastic canal-side bar makes for one of Berlin's best summer drinking experiences. Largely outdoor, the drinking area extends to pontoons moored to the banks of the canal, which can be a challenge to negotiate after a few beers. Check the website for opening details - in bad weather it stays shut. The first (and probably the best) craft beer bar in Berlin, it has about two dozen beers on tap and keeps a number of reliable seasonal craft too. This gay-friendly Kreuzberg favourite is home from home to a trendy, international 20s and 30s crowd who pack into this old furniture shop to hear some of Berlin's best DJs and imbibe cheap cocktails. It's set back slightly from the main junction at Kotbusser Tor - the entrance is actually around the back on Dresdener-Strasse. Look no further for the ultimate Berlin techno experience - Berghain is it. A former East German power station that has been converted into a palace to partying, this is not the place for a quiet evening out. Expect a long wait to get in and entry is selective. Once inside, enjoy the extraordinary main dance floor or the funky upstairs Panorama Bar. Set in an old apartment block and incorporating multiple rooms across different floors, Renate is a loose-limbed party house with an underground vibe and a music policy tending towards hedonistic techno. Lose yourself in the sprawl inside, or unwind in the outdoor courtyard over summer. Despite fierce competition, Watergate remains one of Berlin's benchmark clubs. The mainstream techno vibe jars slightly with its location in the hip district of Kreuzberg, but this place still attracts a young and international crowd as well as some of Berlin's hottest DJs. This Charlottenburg jazz emporium is widely considered to be one of Berlin's best nightspots for live music. Open every night, it presents jazz performers from around the world, and has hosted many famous names since opening in 1992. In Roald Dahl’s book The Twits, four mistreated monkeys seek their revenge by sticking all their owners’ furniture on the ceiling. And it looks like the same primates have been let loose in this fantastic upside-down bar, which, as well as messing with drunken minds, regularly hosts live bands. Telephone: +49 30 8411 0859. Once the haunt of icons like Iggy Pop and David Bowie, SO36 remains a keystone in Berlin's live music scene. The club's punk ethos continues to the present day. On the third Monday of every month there is also a roller-skating dance class.